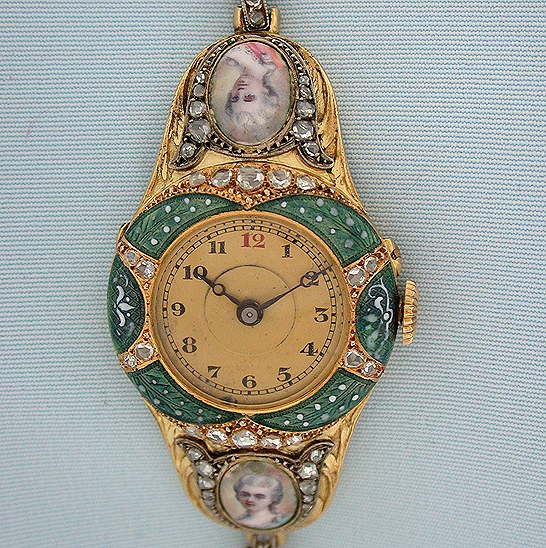 Fine, scarce and unusual early 18K gold diamond and enamel ladies vintage wrist watch circa 1910 The case with green enamel with white decorations over engine turning and painted enamel portraits with diamonds overall. Small bezel enamel restorations. 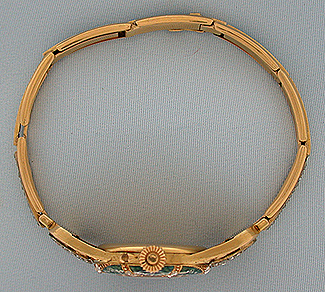 Expansion band with enamel and diamonds. 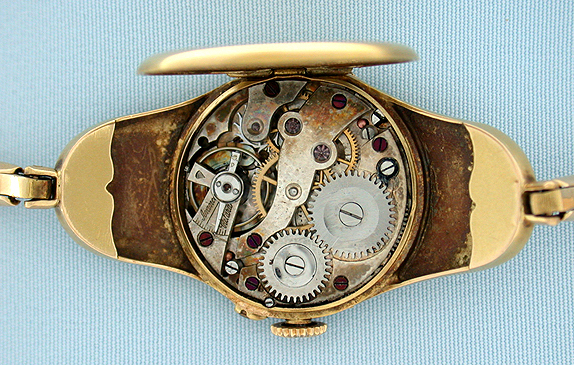 The 15 jewel stem set lever movement a replacement for the original pin set movement. Gilt dial with blued steel hands. Overall length 6.75 inches. 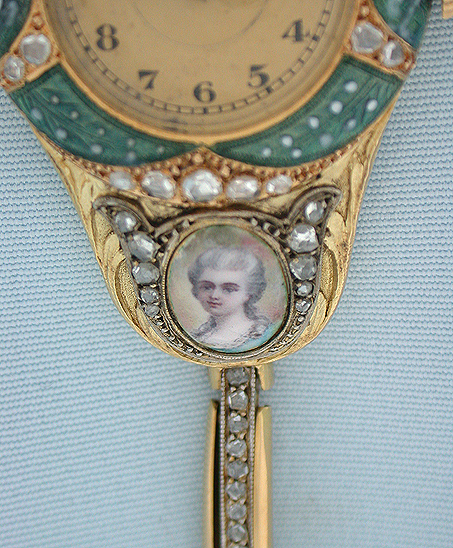 An exceptionally attractive and unusual watch.